Lakeside in Colour ©Eastleighbusman. "seen 150609 in commercial rd in pompey"
This morning a lot of passengers will be greeted with one of these smart Volvo B7RLE Wright Eclipse Urban buses for the first time. They are certainly going to be noticed to begin with at least as they do stand out in the see of Pointer Darts that have ruled the streets of Plymouth for so long. 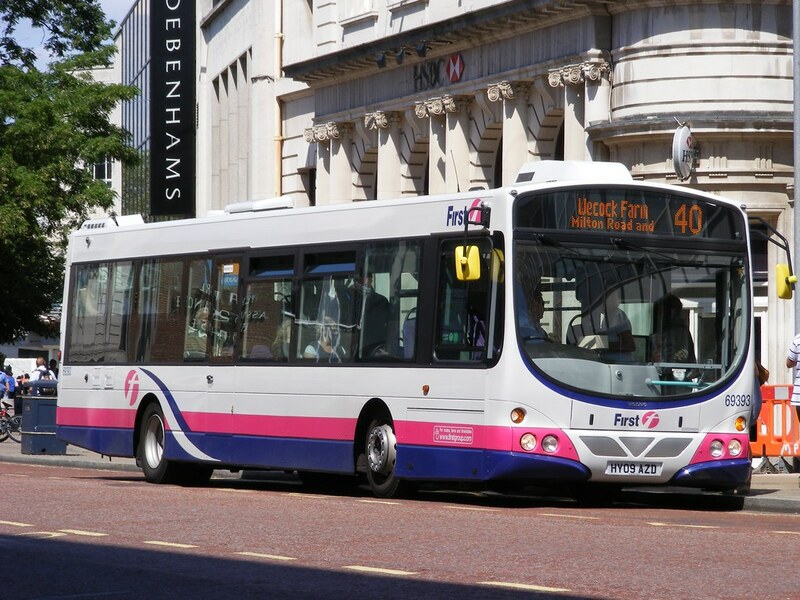 This example has recently joined us from Portsmouth and has now become Plymouth's newest bus. This is probably why it has been bestowed the highest honour of becoming Casper the Cats bus. woops - sorry this post should have gone live at 06:00 this morning but it didn't work!